We offer a range of memberships to suit everyone from Social memberships for those who just want to be kept up to date with the latest news through to the Full Monty of memberships that enables you to compete across the globe. A great value way to stay in touch with news updates and information about all things athletics.Social Members can join in our Social Teams on Strava, Parkrun and in Fun Runs but cannot enter IAAF/Athletics Australia/Athletics Tasmania sanctioned events. Out of Stadium registration is a great option for those who compete in Cross Country and Road events. This membershp allows athletes to compete at their own level in the Tasmanian Cross Country & Road Championships, including the Half & Full Marathons and Road Walking, and also enables athletes to be considered for selection for State and Natonal teams for these events. This is the Full Monty of memberships, enabling athletes to compete in all Track & Field events plus those held Out of Stadium and include the training levy required for your regional athletics track. Full Season membership allows athletes to compete in local, natonal and international events and be considered for selection for State/National teams. Membership fees vary in each region due to levies charged beyond our control. Interclub fee of $10.00 per meet. 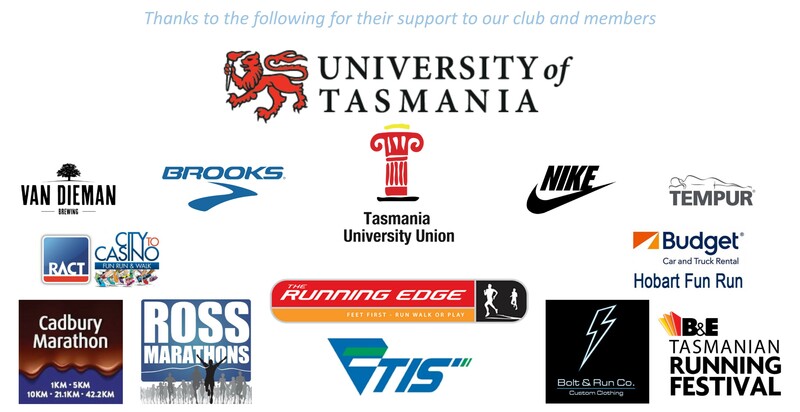 In recognition of their contribution to the sport, Athletics Tasmania and UTAS Athletics Club do not charge a registration fee for those acting as Club Administrators, Coaches, Officials and Volunteers.. This registration provides membership rights to UTAS Athletics Club and applicable insurance cover for the roles of a competition or team official and/or state, branch or club administrator. Registrations made through this option will only be validated and recognised once the applicant has completed the Working with Children Registration process and has entered the relevant registration number on the online registration system. Those who register under this option who wish to compete must register as an athlete as well as registering in this category. In order to access membership rights and non-coaching related insurance, this category should also be used by coaches who register only with the Australian Track and Field Coaches Association, rather than with Athletics Australia.